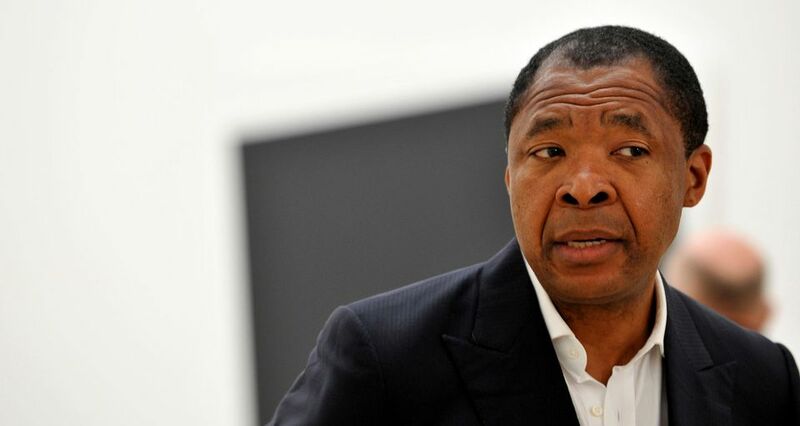 Okwui Enwezor, the former artistic director of Munich’s Haus der Kunst, has defended himself against accusations of financial mismanagement at the museum, which he left in June because of ill health. In August, the museum cancelled an exhibition of work by the experimental video and performance artist Joan Jonas that was due to open in November, citing “a difficult financial situation stemming from management errors of the past”. It also postponed a Theaster Gates show until 2019. Enwezor says that reading the press release that announced this “was, for me, one of the most shocking things in my professional experience”. Although illness prevented him from being involved in the day-to-day running of the Haus der Kunst from late 2017, the last set of financial figures he saw “didn’t give any indication” of problems, he says. According to Bernhard Spies, the museum’s commercial director, Enwezor’s ambitious exhibition programme was largely responsible for the financial shortfalls at the Haus der Kunst. His predecessor, Chris Dercon, left the institution with capital of €1.5m; it is now €500,000 in the red. Because its 2016 accounts were delivered late, it took a long time for the museum’s supervisory board to notice the shortfalls. Although the Haus der Kunst received additional funding from the state of Bavaria this year—a subsidy of €4.4m, compared with €3.2m the previous year—this could not compensate for the overspending of the past, says Spies, who was appointed to the Haus der Kunst in March because of his successful record in turning around the finances at the Bundeskunsthalle in Bonn. An artistic director to replace Enwezor has yet to be named. The Bavarian culture minister, Marion Kiechle, has said that she plans to appoint his successor in early 2019. Spies says he aims to turn around the museum’s finances around this year. Two exhibitions planned by Enwezor for 2020 will also be postponed, Spies says, but not for financial reasons. The shows, titled Post-Communism and Post-Colonialism, were part of a series called Post-War: Art Between the Pacific and Atlantic 1945. Because they were Enwezor’s concepts, they will be postponed until he returns to good health, when he can mount them either at the Haus der Kunst or elsewhere, Spies says. Enwezor oversaw the initial fundraising for a planned €150m renovation of the Haus der Kunst by the UK architect David Chipperfield. The renovation will not be affected by the financial troubles because most of the funding is to come directly from the Bavarian state government, Spies says. Rebuilding work is due to begin in 2020, and he hopes that it will be possible to avoid closing the Haus der Kunst while it is carried out. The construction project, called Renovate/Innovate, is designed to offer new possibilities for events across artistic disciplines: dance, cinema and contemporary music, as well as visual art. It includes rebuilding the steps leading up to the façade to open up the museum to the city, freeing blocked skylights, installing a new café and restaurant, and making the extensive west wing of the building available for exhibitions.